Were funds meant for Prime Minister Narendra Modi’s ambitious national cleanliness drive, Swacch Bharat Mission, diverted for making his Narmada rally at Amarkantak in Madhya Pradesh a grand success? It would seem so, if facts dug out by the Congress mouthpiece, “National Herald” (NH), are any indication. 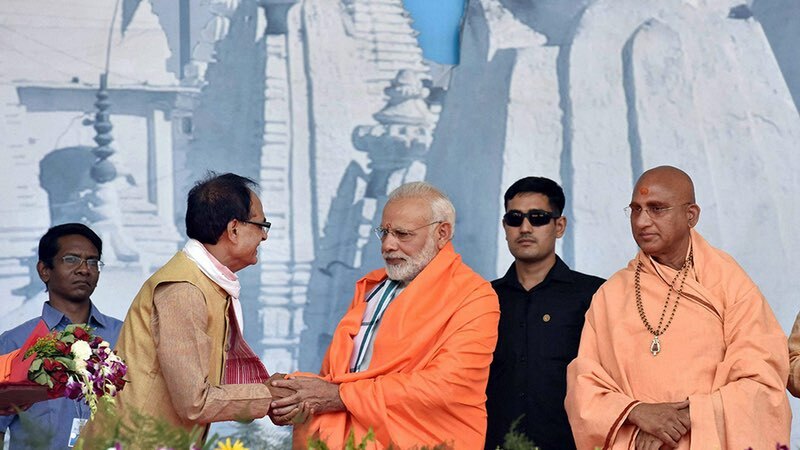 Bordering Chhattisgarh, the pilgrim town of Amarkantak saw Modi talk of the state's plan to rejuvenate the river Narmada, asking people get involved in it. "The biggest strength of democracy is people's participation. We are seeing great enthusiasm of people here to save the river Narmada", said Modi said. He was speaking at the concluding ceremony of chief minister Shivraj Singh Chauhan’s 'Narmada Sewa Yatra', which was fagged off on December 11 last year to “rejuvenating”. 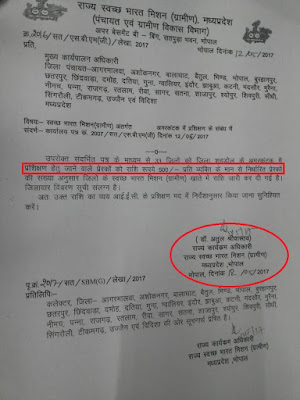 While this letter is dated May 12, 2017, another one, dated May 9, 2017, tells the district panchayats that the motivators would be given a T-shirt and a gamcccha (cotton towel) each, for which also funds have been allocated. In all, according to NH’s calculation, a sum of at least Rs 17 crore was diverted, apart from other sources, from the budget of the Swachh Bharat Mission for transporting around 1.15 lakh people for Modi’s rally. According to NH, the documents show, in all, funds were released from 51 districts for ‘buses deployed for the ‘Namami Devi Narmade’ rally at Amarkantak. 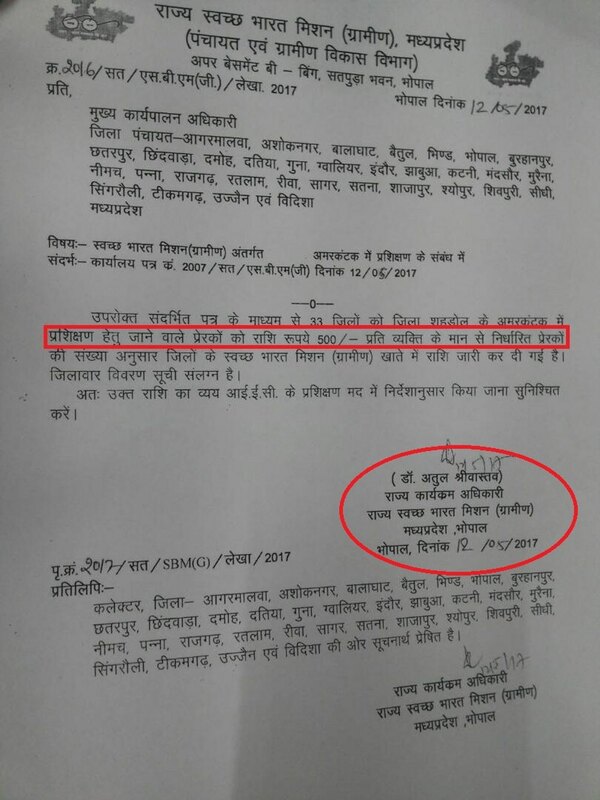 Providing breakup, the documents suggest, district mobilized anywhere between 350 buses from Indore and 200 buses from Satna. “Even more curiously, while the rally was meant to be the culmination of a ‘padayatra’ (Narmada Seva Yatra), people were ferried, at least on paper, from all over the state. How they were selected is still not clear”, it adds.